In RFIs issued to the City of Lubbock, Texas, Texas PUC Staff have asked the City and LP&L to, "Admit or deny that Hunt or a Hunt organization was the originator of the idea to integrate Lubbock's load into the Electric Reliability Council of Texas (ERCOT)." The RFIs were issued in a case reviewing the previously reported proposed transaction under which Oncor would acquire InfraREIT, and related transactions. 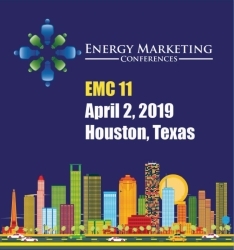 • "Provide a copy of all documents, presentations, or analyses developing or pitching the idea to integrate Lubbock into ERCOT and the plans for physical interconnection of infrastructure. • "Confirm whether there were any agreements between Lubbock and the Hunt organizations for Lubbock to support in proceedings before the Commission the selection of Sharyland for transmission build-out following approval of Lubbock's integration into ERCOT. If so, provide a copy of any such agreements. • "Confirm whether there were any agreements between Lubbock and the Hunt organizations for Lubbock to support in proceedings before ERCOT the selection of Sharyland for transmission build-out following approval of Lubbock's integration into ERCOT. If so, provide a copy of any such agreements. In a prospectus filed with the SEC in 2015, InfraREIT had stated, "Another example of Hunt’s innovative approach is Sharyland’s response to Lubbock Power & Light’s (LP&L) Request for Proposal (RFP) for generation services. In response to the RFP, Sharyland submitted a proposal to integrate LP&L’s system into ERCOT through multi-line alternatives ranging from approximately 67 to 92 miles, with an associated cost estimated to range from $166 million to $237 million. It is unknown at this time whether Sharyland will be successful in the RFP process. For any non-ROFO projects, Hunt has informed us that it intends for us to be the primary owner of Hunt’s T&D development projects as those projects are completed and placed in service. However, there can be no assurances that any of the non-ROFO Projects will be completed and offered to us or, if completed and offered to us, that the price and other terms of the acquisition of such projects can be negotiated on terms acceptable to us."